Great tapas restaurants can often be hard to come by on the south coast, but when you find one it makes it all the more satisfying. There are many elements that go into making a great tapas restaurants, from food to service and interior to atmosphere, with those that behold all the elements often being at the top end of great tapas spots. Here is our quick guide on what to look for when searching for a Spanish restaurant. Food; the most important part of any restaurant. 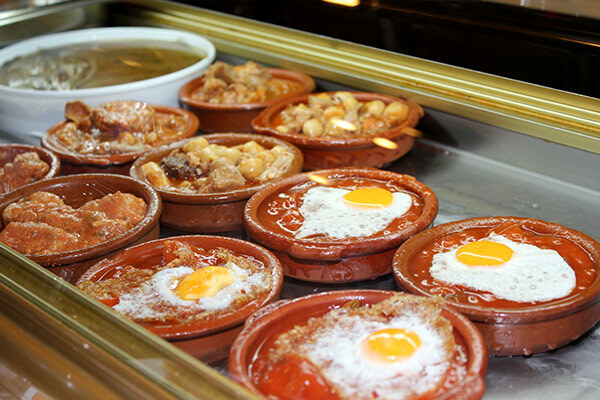 Ultimately, a great selection of tapas dishes is what is most important to diners. Making sure quality of the food is high and a menu that is kept fresh with new exciting dishes with either changes to the menu or a weekly specials menu alongside the normal options. This allows the restaurant to cook dishes with the ever changing seasons, and will allow them to cook with great fresh produce. Here at Tinto Taperia, we create weekly tapas specials running from Thursday weekly, allowing us to use staple ingredients of the Spanish palette in dishes with a Tinto twist. Fabada – a popular chorizo and white bean stew has returned two weeks on the trot due to it’s huge popularity here in the Brighton Laines! A key element of enjoying a tapas experience to remember is service. Spanish people are passionate by nature, so no surprise that Spanish restaurants throw themselves into service with the same passion. 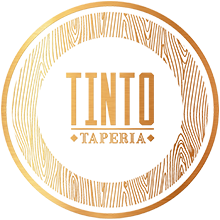 We understand that our waiters and waitresses are the beating heart of Tinto, adding the extra layer of satisfaction to every dish served. Brighton is known for a thriving hospitality and restaurant scene, from food to the people presenting it to your table. Don’t hesitate to ask any of our staff for recommendations or menu guides… tapas can be a maze to choose from at times! Interior & atmosphere are usually the first impression, and as we all know first impressions are often everything! Interior can set the tone for the whole dining experience, so getting off on the right foot is key (especially in the age of Instagram)! 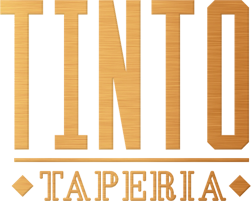 As you walk through the doors of Tinto Taperia, you are welcomed by walls lined with authentic Spanish art, complimented by original tapas style tables, with the choice of high table seating, or comfortable loungers for bigger groups. A special ambience can’t be faked – and a ‘home-like’ dining experience is one we endeavour you to enjoy within the confinements of our tapas hideaway. Being in the heart of Brighton’s ‘Theatre Land’ make our venue an ideal location for pre and post theatre tapas, with a difference. Every detail has been obsessed over to create a beautiful place to eat, drink, share, chat and enjoy the experience! Find us on New Road, Brighton, next to the Theatre Royal just off North Street.